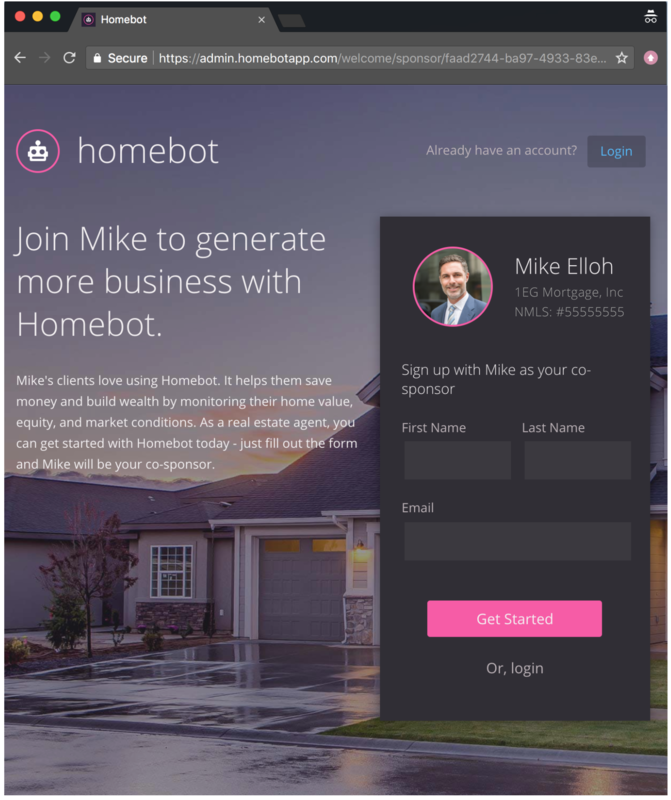 Inviting your Real Estate Agents to Homebot is now easier than ever before. 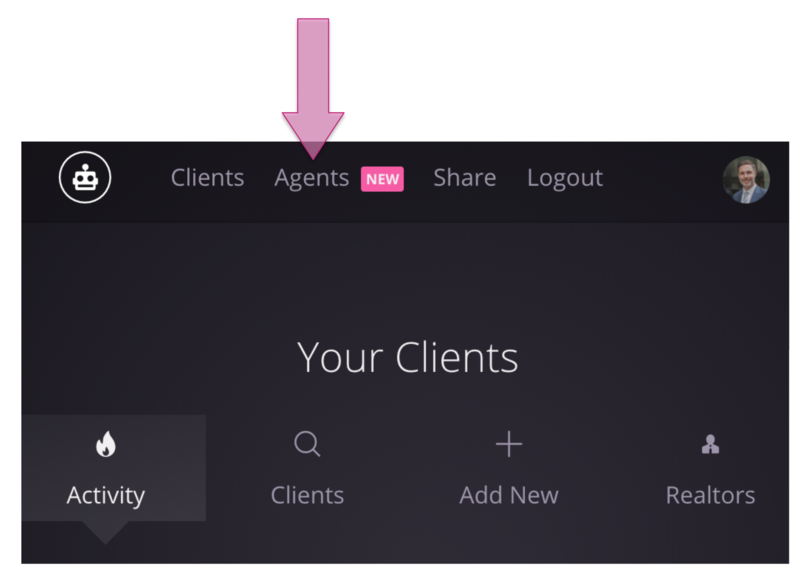 With your new Agents tab in your Homebot dashboard, you can invite Agents with a couple quick clicks. We've also created personalized landing pages for your agents. You can share these pages on social media or anywhere else on the web. 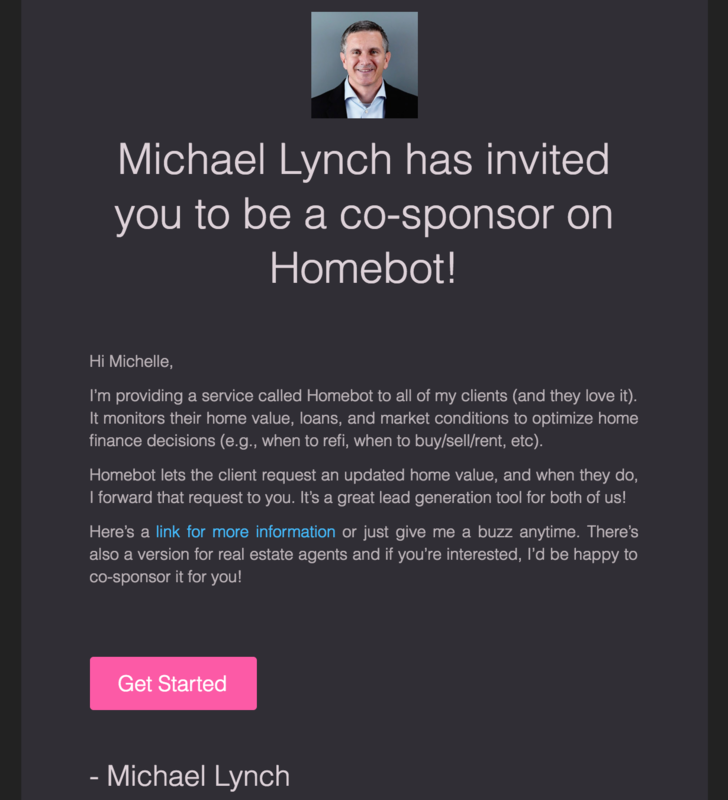 We want to make it as simple as possible for you to extend an invite to be their sponsoring Lender on Homebot! If you are not currently sponsoring any Agents, our new sponsorship features make it easy for you to get started and to begin to grow your business in partnership with your favorite Agents. Click on the Agents tab in the top navigation bar. 2. Here, you can view your Sponsored Agents, Pending Requests, and you can also Invite your Agents all from the same master menu (image below). Let's begin with inviting Agents. 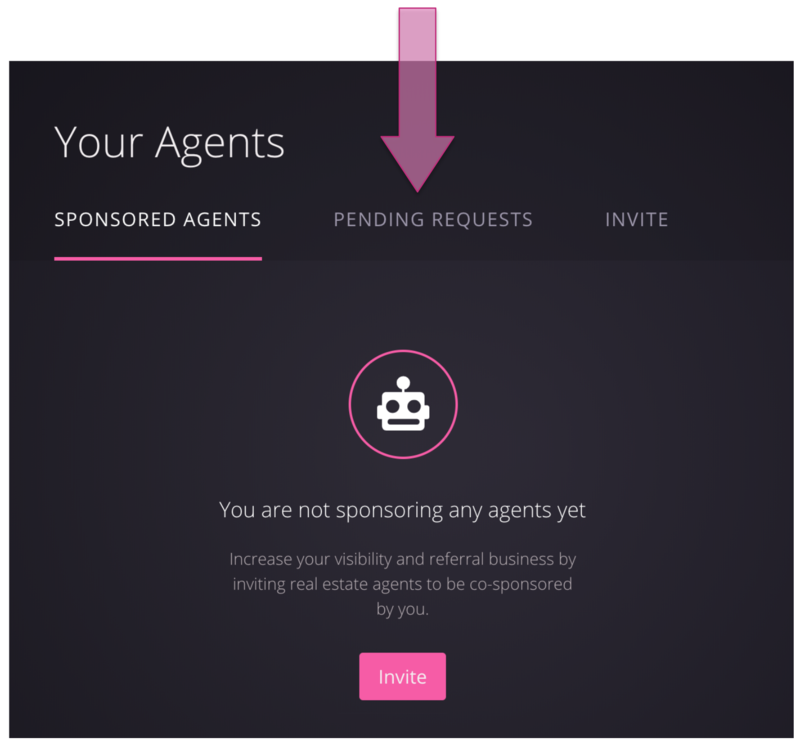 Click on the the pink Invite button below to start sending invitations to Agents in your network. *Note: You can also invite your Agents by clicking the INVITE tab in the menu (directly to the right of the PENDING REQUESTS) tab. 3. Start inviting your Agents! Just enter their First Name, Last Name, and Email in the custom fields (image below). Don't forget to check the final acknowledgement box (below the 'Email' field) to complete your request. 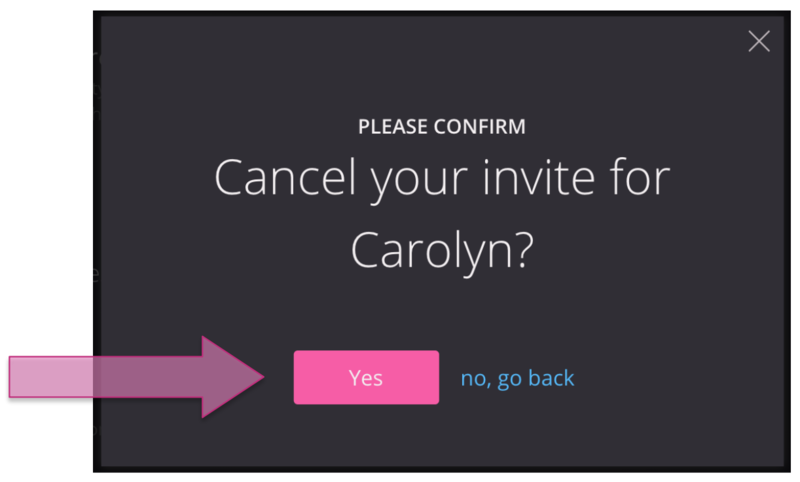 Finally, click the pink Send Invite button to let your invitation fly! Curious what your agent will receive once you hit "Send Invite?" See below! 4. 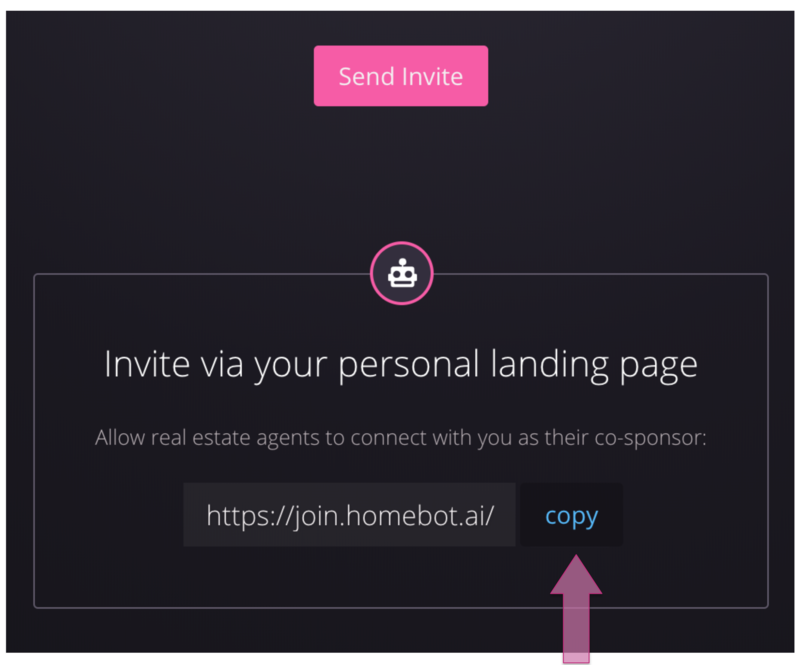 Invite Agents outside of your network to join Homebot by sharing your 'personal landing page' a.k.a. your agent invite link! Scroll down to the custom link and click the blue 'copy' button (signaled below by the pink arrow). Now you're ready to post your link to the web! 5. 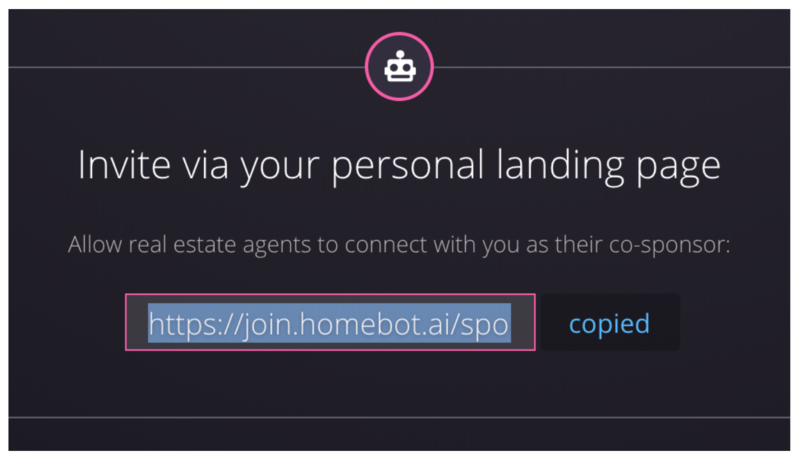 Post your agent invite link anywhere on the web to invite Agents to your Homebot account! 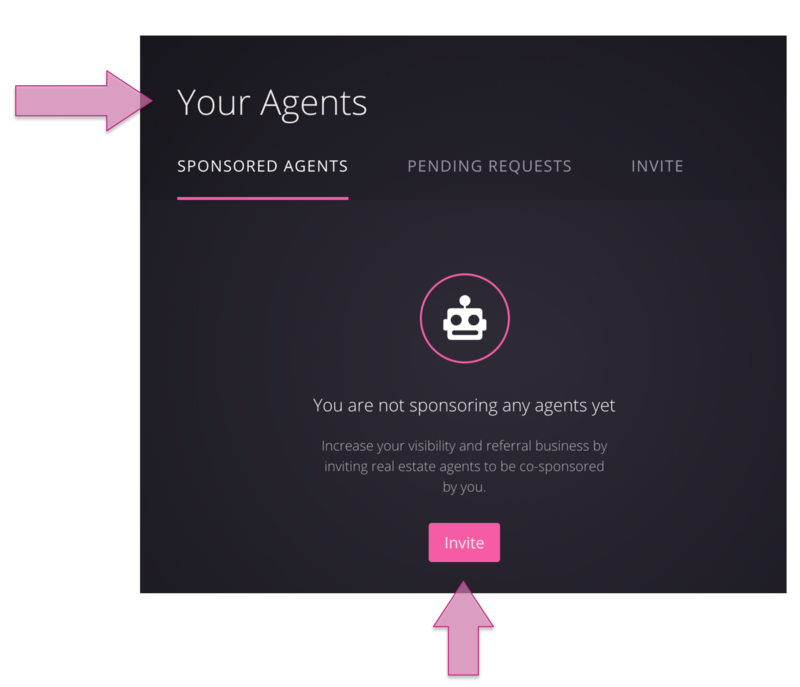 Your agent invite link is specific to you and always has your branding. 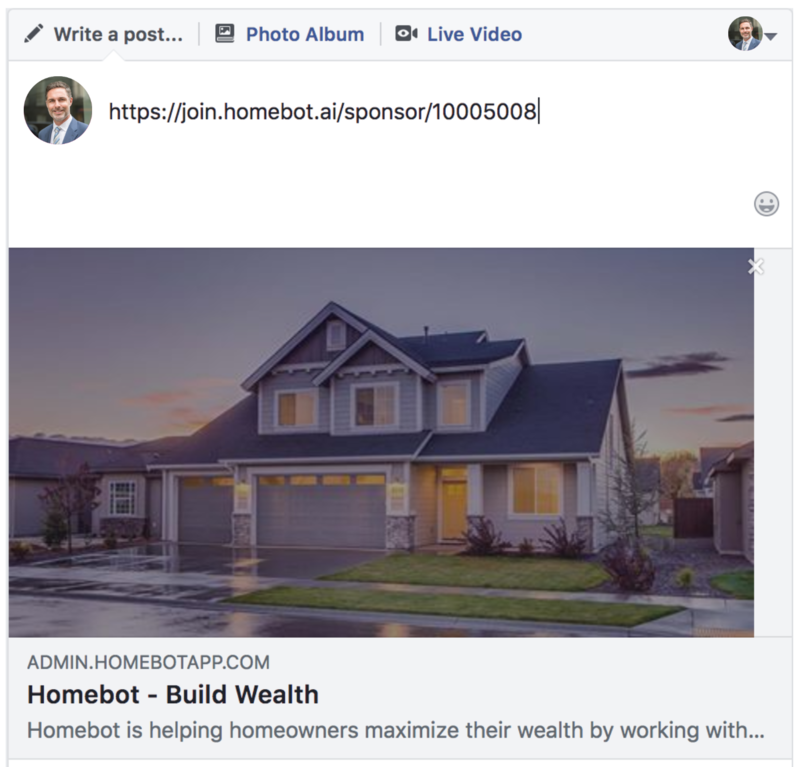 It is also attached to your Homebot account. Your new agent invite link is even also optimized for Facebook. Check out a posting preview, below! 6. 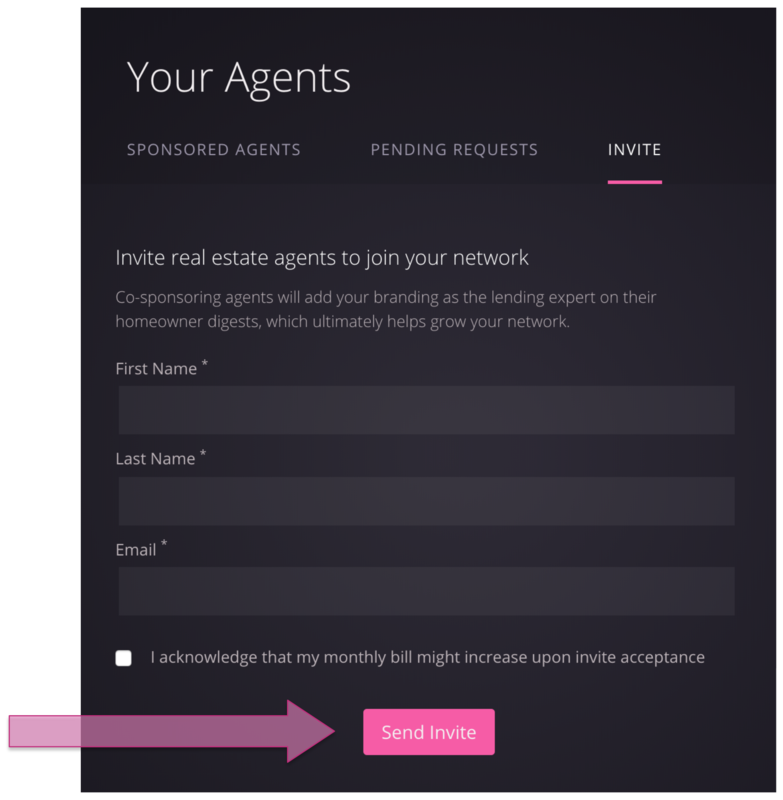 When your Agents fill out their First Name, Last Name, and Email on your custom agent invite page, their request will go directly back to YOU for approval. To manage all of your Pending Requests, repeat steps #1 and #2, and click Pending Requests in the navigation menu (image below). 8. Add Agents by clicking the blue Confirm button next to the corresponding Agent. Let's take Fariba Jackson as an example. Once you click Confirm, a new modal to confirm your choice will appear (image below). Click 'Yes' to confirm that you would like to co-sponsor Fariba, 'or cancel' to exit out of the page and go back to the Pending Requests page. 9. 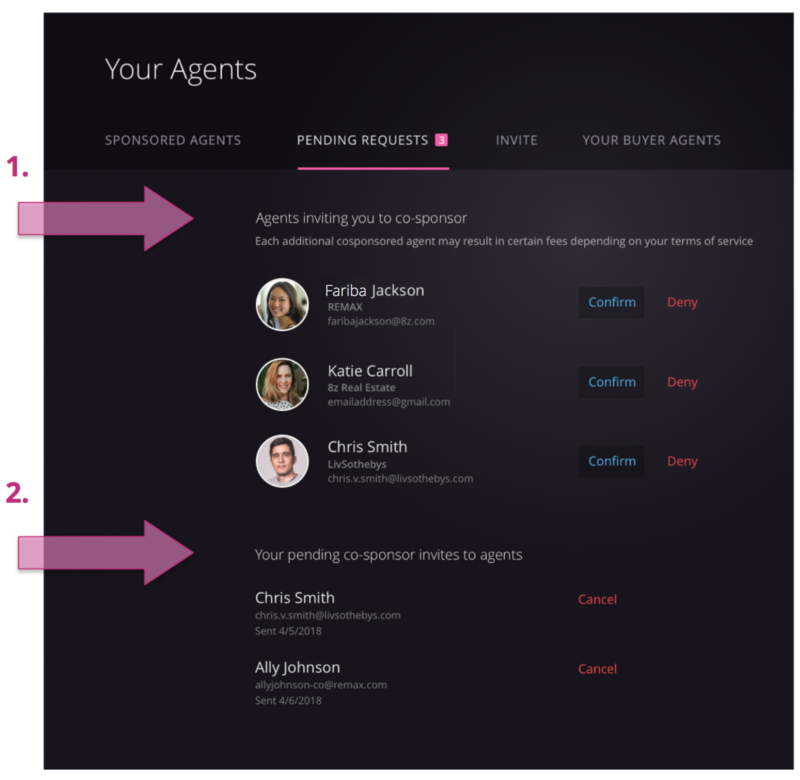 Reject Agent co-sponsorship requests by clicking, 'Deny' next to the corresponding agent. Let's take Steve, as an example. Once you click 'Deny,' a new modal to confirm your choice will appear (featured below). 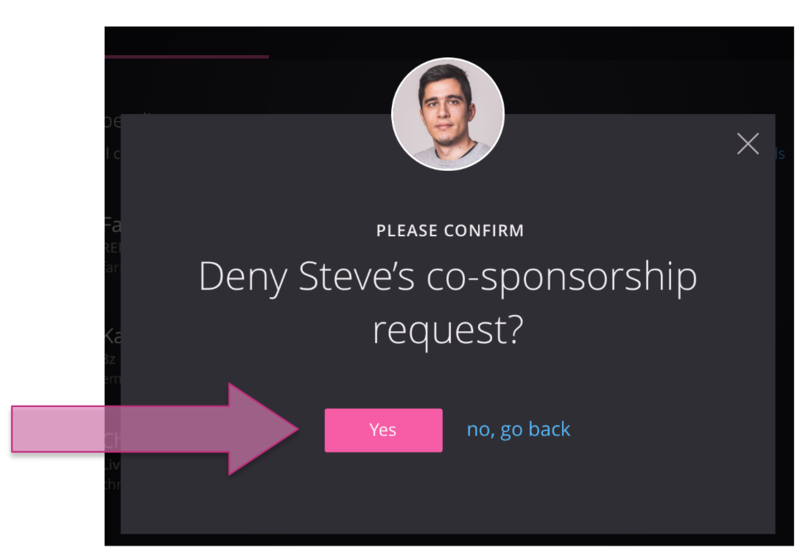 Click 'Yes' to confirm that you would like to deny co-sponsorship Steve or, 'no, go back' to exit out of the page and go back to the 'Pending Requests' page. 11. Finally, cancel your 'pending co-sponsoring requests to agents' if you change your mind and decide not to extend an invitation to an Agent. Simply navigate to the Agent whose pending invitation you want to cancel, and click Cancel. Once you click Cancel, a new modal to confirm your choice will appear (image below). Click 'Yes' to confirm that you would like to cancel your pending request to Agent, Carolyn or click 'no, go back' to exit out of the page and go back to the Pending Requests page. Now that was a lot of information! The good news is that Co-Sponsoring Agents is much easier than it looks. Head to your Agents page now to start exploring the new co-sponsorship features and start building your referral partner network! As always, don't hesitate to reach out with any questions or feedback! This is yet another feature that came from your great suggestions!